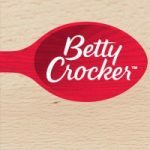 Sign up for Betty Crocker’s email and get access to 15,000 recipes and up to $250 in savings per year. Get coupons for Lactaid products. I am not actually going to sign up for this one myself since I we don’t use Lactaid products, but, there are savings coupons, I am not sure if they give a coupons for a free Lactaid product. You can get a free slice of Pizza at Sbarro when you sign up for their eClub. After you register with them keep an eye out for a coupon to be sent to your email address. Sbarro’s are in a lot of malls and holiday shopping is coming up. This would be a nice freebie. 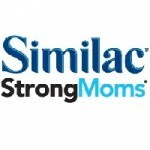 The Similac StrongMoms Rewards membership is free, and includes expert nutrition guidance for your pregnancy, weekly updates on how your baby is developing, and up to $329* in membership benefits. If you are a Target shopper you can take advantage of this free Target REDcard signup. When you have this credit or debit card you will receive 5% off every online or in-store purchase you make, and also get free shipping. If you are a loyal Target shopper, this may be a no-brainer. Approval of applications of the credit card are immediate, the debit card applications may take a couple days because they work with your bank account. Choose either or both printable coupons and digital coupons at the Dollar General Coupon Center. Many of us have a Dollar General near by, why not take advantage of these coupons? I haven’t been to a Dollar General for quite a while now, I am assuming they are reasonably priced at those stores. Is your printer ready? There are a ton of savings opportunities offered here. All these Coupons.com printable coupons are 100% free and can save you tons of money. Look for products that you normally shop and pair them with sale prices that are going on at your store! That adds up to big savings. Who could really say no to this? Start saving now! 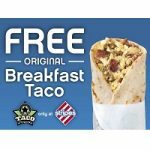 Get a free Stripes breakfast taco with this printable coupon good on 11-26. Stripes are located all over Texas, Oklahoma, and New Mexico. I used to live in Texas and really miss the tacos.